There's a few '61' models currently advertised coming with the standard 296 bhp output. I thought that all recent examples sold had been given the 320R upgrade as a freeby before leaving the showroom but apparently not. £94 for these flaps and the two on the otherside cost me £94 as well !!! 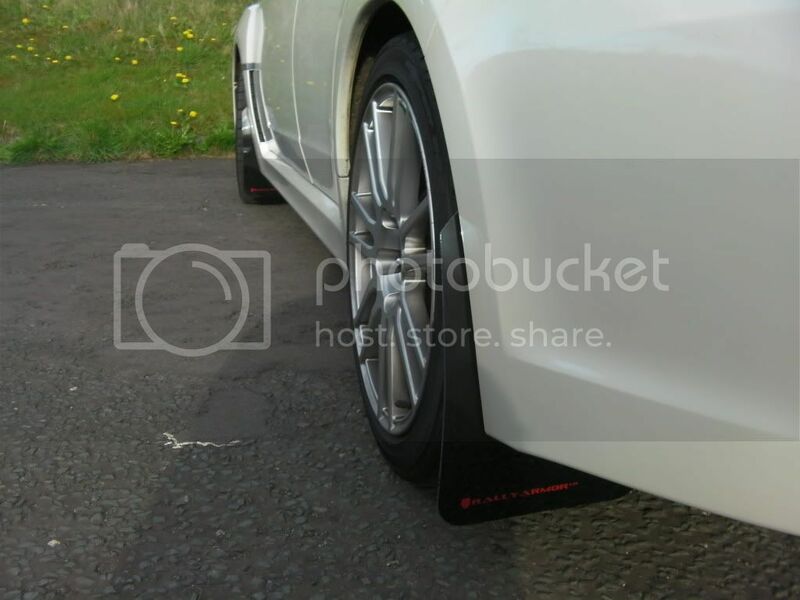 Nobody in the UK does them for the 2011 saloon so off to the USA for them, £150 for the flaps and £38 import duty. They do fit a treat but I never thought I'd see the day. They actually are great fitting. Made for purpose. You wuz robbed Less than an hours labour then. I'll keep them as they are, although I do like those 19" GT2s and may get a set when these tyres need renewing. They charged me 15 mins labour +VAT ! It would have taken me all day. In addition, I don't trust myself with a drill. Importing the A/V panel (on an individual basis) costs just shy of £100 and admittedly looks much better. 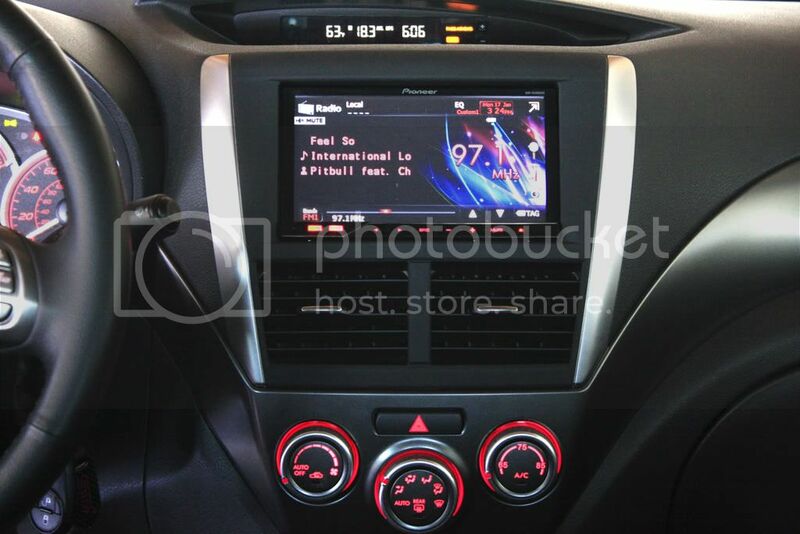 I dont suppose anyone knows where to get these, as I am looking at putting a pioneer system in my STI saloon which I picked up yesterday. Last edited by Abx; 21 April 2012 at 11:11 PM. Exactly. Here is a pic of mine I just recently installed. I have also installed a sound system. well after 6 years of owning a Hawkeye STI, I thought it was time to get a new car so I went and bought this. 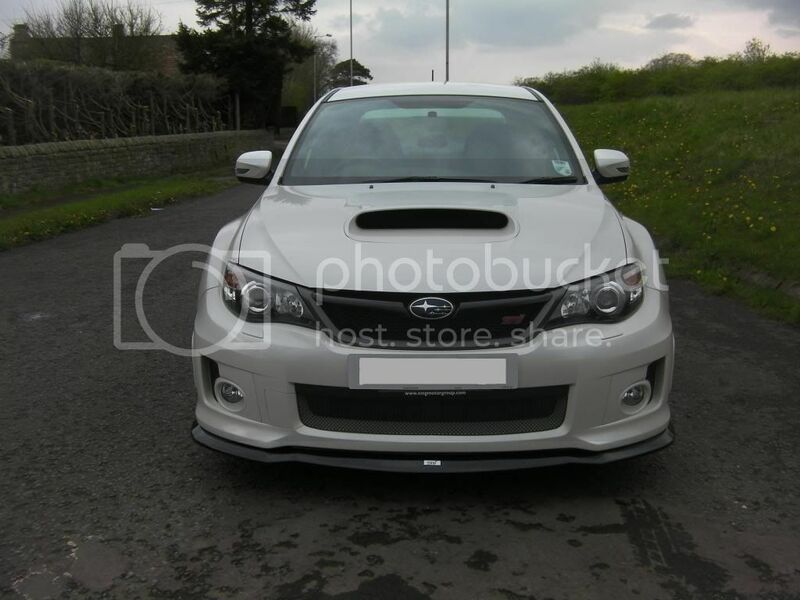 Got some great plans for it, all ready has Subaru Large spoiler and HT Autos front lip spoiler. Looking for some gold GT2 19" alloys and a good exhaust. 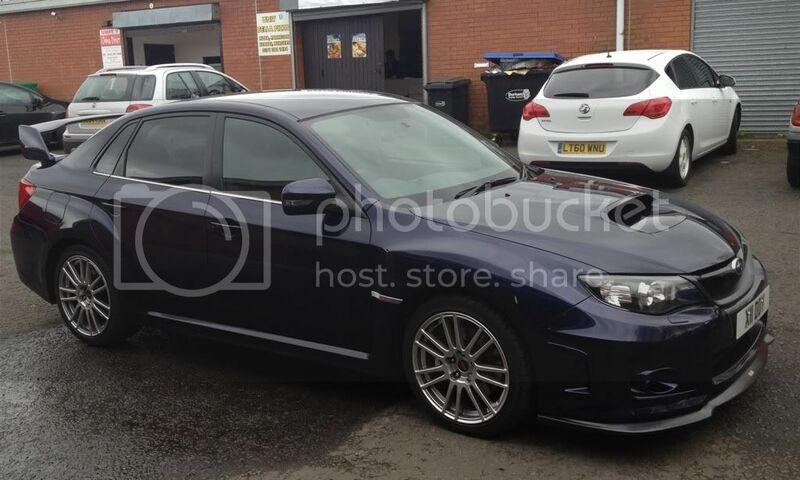 How heavy & strong are the std 2011MY Impreza STi alloys, my 2010 hatch is still running on standard 17" STi alloys. I could be tempted by a set of these 18". The reason I ask and weight and strength the 17" rims are incredibly heavy, but not fragile unlike some after market alloys. Do they come on the cars from Japan or are they sourced by IM in the UK? If your car is the standard 296 bhp, I can recommend the 'warranty friendly' 340 upgrade. The subtle growl from the Scorpion exhaust is sublime. Judging by his previous car, 340bhp will feel like a 1.2 fiesta. I'm sure there are plans for considerably more. Maybe so, but not until 2014. They are OEM Enkei's on the car from Japan. With much regret I might have to sell up, has anyone any idea what a 340r Hatch is worth with very low mileage on a '61' plate? Maybe not what I am looking for them. Well it's been 9 months and circumstances and situations change beyond ones control but I did say MIGHT as I am fighting it. 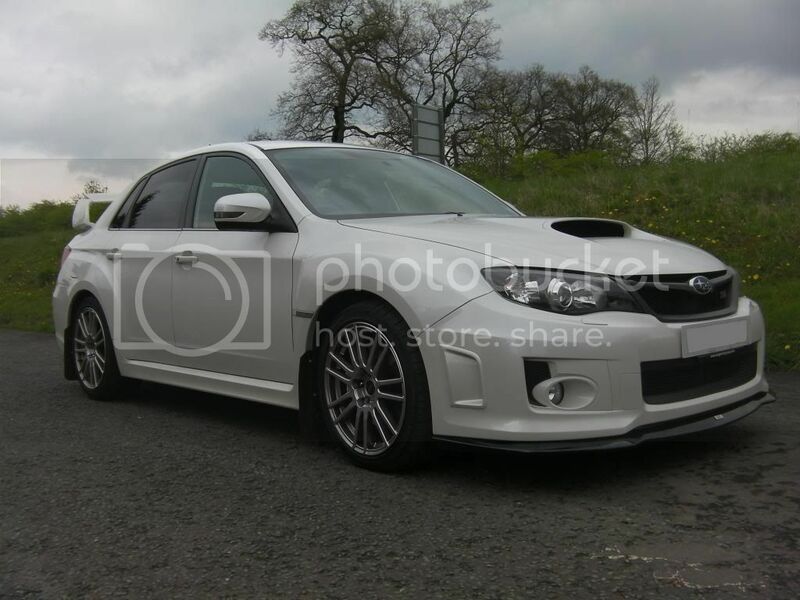 Not really bothered about the warranty, its going to be running 370/380 in three weeks time when Bob Rawle maps it with its milltek exhaust, headers and induction kit. Cant wait as it does feel slow after having a 550hp hawkeye. But like I said I have big plans. Does anyone have a sound clip / vid of the exhaust note after the 340r box change? 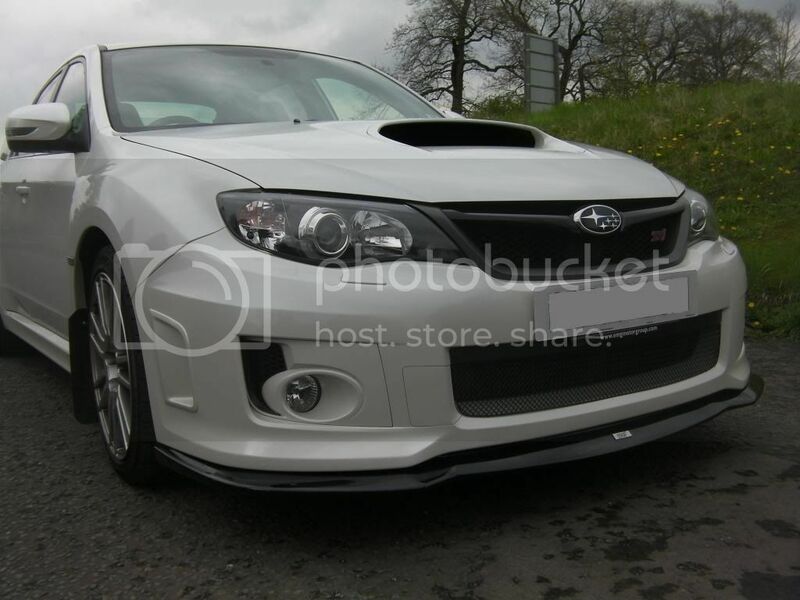 And would subaru frown upon the use of a non Pro-r backbox in regards to warranty? Yes, they would deny an engine claim if a non standard box was fitted.